Link Building InsightsHome » News & Insights » Dofollow vs. Nofollow Links: What’s The Difference? Long ago, upon the creation of Google’s PageRank metric, SEO ‘experts’ wreaked havoc. PageRank’s premise was pure enough – to calculate the value of a particular website page to any given search term. The concept was simple – the more inbound links a site page got, the more ‘link juice’ it had, which in turn fuelled the page’s rise up search engine results pages (SERPs). Naturally then, the sites that had the most hyperlinked ‘votes of confidence’ pointing toward it were more highly ranked. In its unaltered state, PageRank factored in every link. Every. Single. One. Any guesses on what the subsequent havoc was? SEOs, hungry for black-hat methods to turbocharge page ranking, had a golden opportunity. If more inbound links equalled a higher PageRank score, why not harvest every available opportunity? Suddenly, comment sections were filled with self-promotion and user-pasted links. Wikipedia pages were particularly bad – people would relentlessly add their own sites as references. Google’s SERPs suffered from sites which had spammed their way to the top, relegating genuinely authoritative sites to lower positions. An example of modern day comment section spam. Prior to 2005, all links across the World Wide Web were “Dofollow”, meaning they were indexed and given ranking signal. Hence the avalanche of spam as users arbitraged and pasted their site’s link everywhere. In turn, Google was threatened in its purpose of recommending the best sites for its users. Quality sites suffered, being forced out of relevant search results. Luckily, a solution came in 2005. For the sake of preserving the web’s authenticity and genuine blog discussion, as well as to stem the tide of irrelevant linkage, Google’s Matt Cutts and Jason Shellen introduced the “Nofollow” attribute. The anatomy of a link in HTML code. The rel=”nofollow” attribute specifies that a link is nofollow and should not count towards Google’s ranking algorithm. Nofollow links were incorporated into Google’s algorithm, with far-reaching results. The technical difference with Dofollow was simply in the HTML code. With a rel=”nofollow” HTML tag applied within the <a> href attribute, search engine bots/spiders/crawlers are instructed to ignore the linked site, passing on zero PageRank or ‘link juice’. Webmasters, who had previously suffered from link spam, could stifle link spammers because ‘spamdexing’, or leveraging the comments section to promote one’s own site, no longer worked. The integrity of SERPs, in recommending genuinely knowledgeable sites to its users, was given a lifeline. Where do Dofollow and Nofollow tags appear? The appearance pattern of nofollow links should be noted in explaining the function of Nofollow tags. They typically appear in pages that shouldn’t carry ranking signal. That is, blog comments, social media, forum posts and press releases: basically any form of user-generated content that opens up the opportunity for people to manipulate rankings through self-created links. Further, popular websites such as YouTube, Quora, Reddit, Wikipedia and Twitch incorporate the rel=”nofollow” tag in all their outbound links. Intuitively, this makes sense. Just as you’d want your advice from a properly certified doctor, you’d want to source your information from a site with a high SERP certification – knowing the SERP certification was based on genuinely authoritative information and not artificial inflation. Continuing the analogy, the other category of Nofollow links are paid ones. You wouldn’t want your doctor to have paid for his certification, rather than earned it right? If websites don’t implement the Nofollow tag in sponsored banners and paid content, Google’s penalty will be a drastically lowered search ranking. All links are Dofollow unless the rel=”nofollow” tag is included in its attributes. Google indexes Dofollow links and counts them towards ranking results, providing the target website a backlink and some link juice. If the webmaster of a well-renowned website links to you, then hallelujah! The authority of their site is transferred by Google’s spiders to yours. Do Nofollow links carry any benefit? As stated by Google, Nofollow links don’t pass any PageRank or ranking benefits onto the target site. Using Nofollow drops the target from Google’s graph of the Internet. Thus your SEO will be inefficient if your backlink profile consists only of the Nofollow kind. Handily, there are tools available to check if your backlink is Nofollow. Otherwise, you can figure it out manually, by right clicking on your browser, clicking on “view page source”, and searching for the a rel=”nofollow” attribute. But are Nofollow links entirely useless? Used in the right way, they pose numerous benefits. 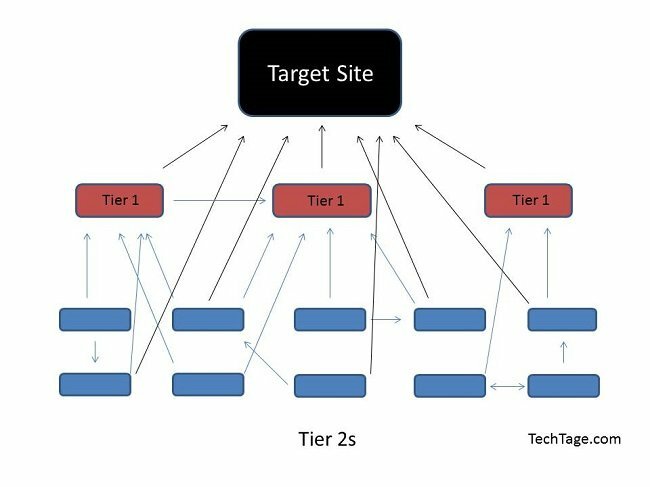 When multiple sites in your industry link back to yours with your target keyword/s as their anchor text, your ranking may skyrocket, as documented by Adam White. Thus, if the links are from related sites, especially those of high domain authority, Google will very likely give you credit for the anchor text used. It is important to bear in mind that as a site owner, you should care more about human interaction rather than whether the search engine spider crawls your backlink. That means, it’s more important that people actually click a link pointing to your website, regardless of whether it’s Dofollow or Nofollow. A click is a guaranteed visit whereas a higher SERP guarantee you higher visibility. To a site visitor, a Nofollow link looks the same as any other. If it is appealing, they will click on it. Thus whilst Nofollow links don’t deliver link juice, they certainly deliver referral traffic, especially when featured strategically. And traffic opens possibilities: conversions from leads, sales, calls or even simply valuable demographic data and analytics. Furthermore, think one step ahead and realise that Nofollow links can eventuate into Dofollow links. The onus is on spreading awareness of your site through driving human click-rate, and a powerful avenue is through authoritative recommendation. For example, let’s imagine a situation where you publish a press release about your new website. The press release link may be Nofollowed. 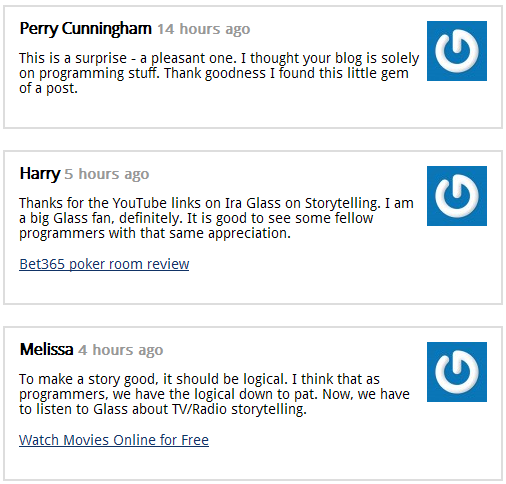 However, if a popular media personality sees your post and likes it enough, they will link it on their blog. This Dofollow link will not only boost your visibility on indexes, but your visibility to humans too. What should you do? The overarching recommendation is backlinks in your portfolio should exist to help the search engine’s users. That is, to help them find the information they’re seeking. Not to boost rankings. Whilst there is no golden ratio of Nofollow to Dofollow links, there are backlink analysis tools available to analyse the ratios of competing websites in your industry. It will be useful to adopt their ratio, especially the highest SERP ranked ones. That being said, the nature of these links will be under scrutiny. Whilst any SEO strives for the ‘right’ links, there is no telling what a ‘natural’ or ‘manipulative’ link is. Google is the ultimate arbitrator for this. In fact, any penalties dished out are largely based on suspicious-looking backlink profiles. Dofollow links boast both visibility to indexes and to humans browsing the web, so why not just use Dofollow? Because again, Google will judge. In whatever way you construct your link profile, it’s best to signal to the search engine that you’re playing by their rules. If all your backlinks are Dofollow, and from just a few sites, Google will be suspicious. If your link profile looks ‘unnatural’, your site may very well be penalised based on grounds that your Dofollow links were unfairly procured. Thus the ideal link profile needs to incorporate both Dofollow and Nofollow. Remember, many links today arrive from social networks, which are Nofollow, so it would seem suspicious if your site page ranked highly without a whisper of it on Facebook or Twitter. The trick is to mould a natural-looking Dofollow vs. Nofollow ratio, and this is dependent on your industry. If your highest ranking competitor has say, 50/50 Dofollow/Nofollow, it would stick out like a sore thumb if you adopted an 80/20 approach. Furthermore, Google’s latest Penguin updates are adept at discovering patterns of manipulative linking. Your link-building velocity will be noticed, so don’t be aggressive. Especially if your site is relatively new. Aim to create content-rich links which are inherently worth sharing. The best way to derive a natural-looking link profile? Work toward earning links rather than asking for them.